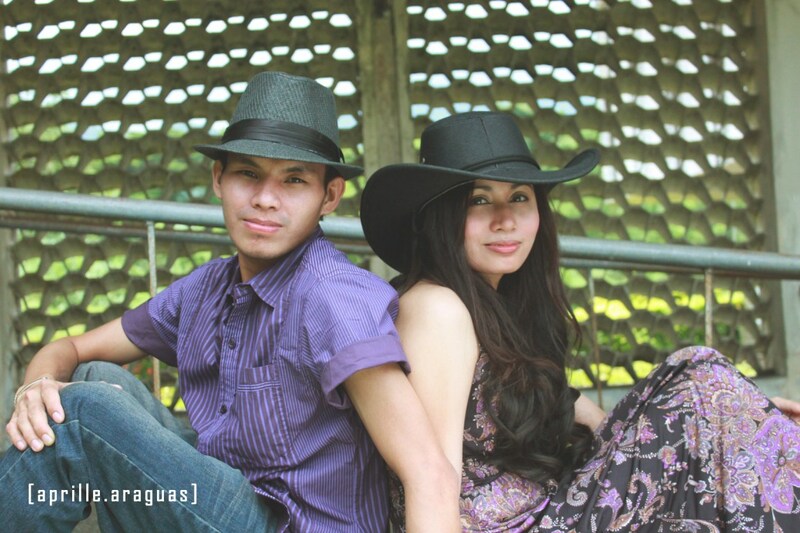 Aprille Araguas Designs: Jay and Vesma Sessions. Please be informed that this is a photo-loaded entry. 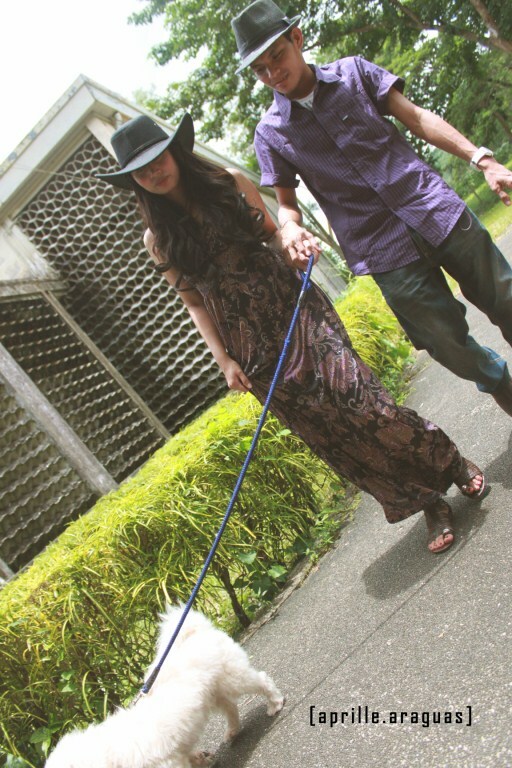 Two Engagement Sessions with Jay and Vesma. 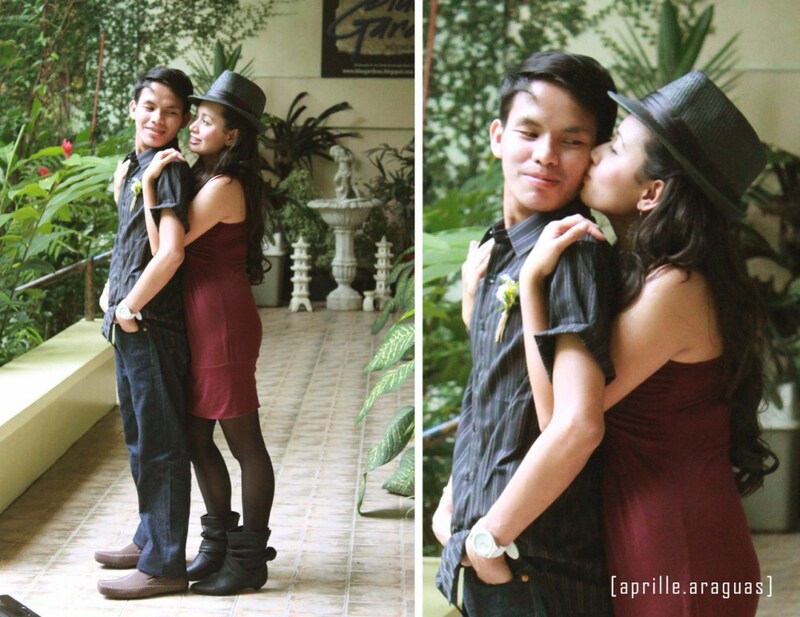 Not just one but two Engagement Sessions, how's that? Vesma is one of my old friend since High School. She's also the first "Baks" going to get hitched in our Barkada, so we are just so excited to take photoshoot with her since most of us in our circle is very passionate about Photography-that's why we have tons of pictures taken and printed in scrapbooks since Highschool. 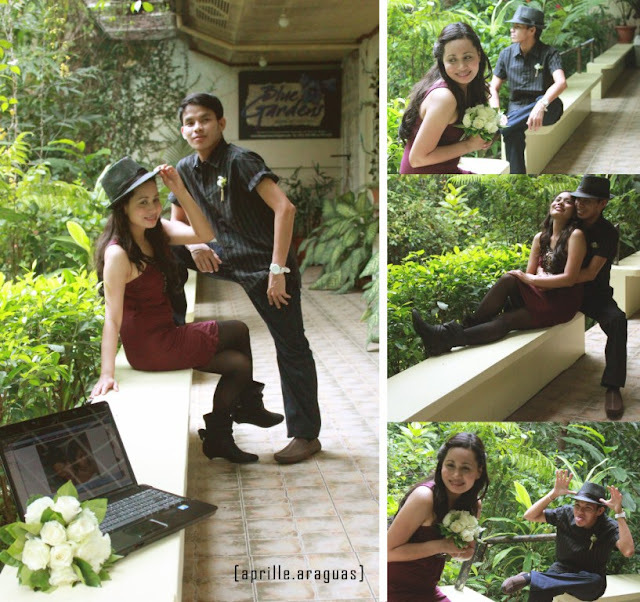 Part I - Photo shoot with BAKS-HS Friends at UP Los Baños premises-with some behind the scenes. Since my sister Kea has an ongoing class in Graduate School during that particular Saturday, I just had to do Vesma's Hair and Make-up all by my self. Busy Girls at work, with Brinks Alo, Carmi Garcia and Dra Camille Ramos. Then after a month or two-a lil hectic schedule :( I managed to process and finished the photos! Everybody is tired but all smiling. 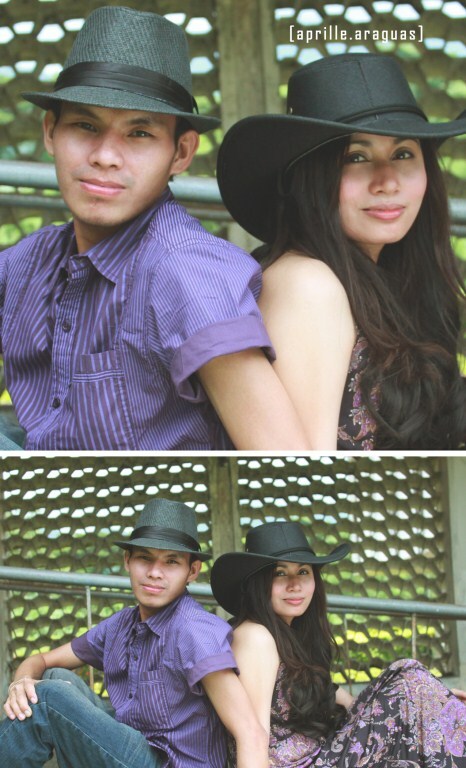 Part II - Co-shoot with Mr. Cesar Saquido, Photographer for Smartshots at Blue Gardens. 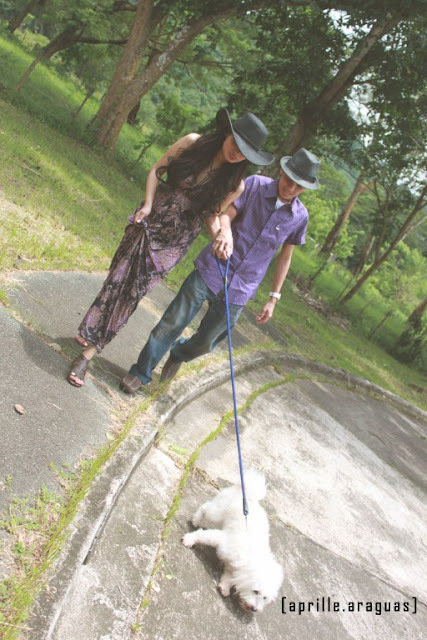 Two days after the photo-shoot with HS Friends, We kept Jay and Vesma company during their Engagement session with their official photographer in QC. We started as soon as we arrived for Ves' hair and make up. 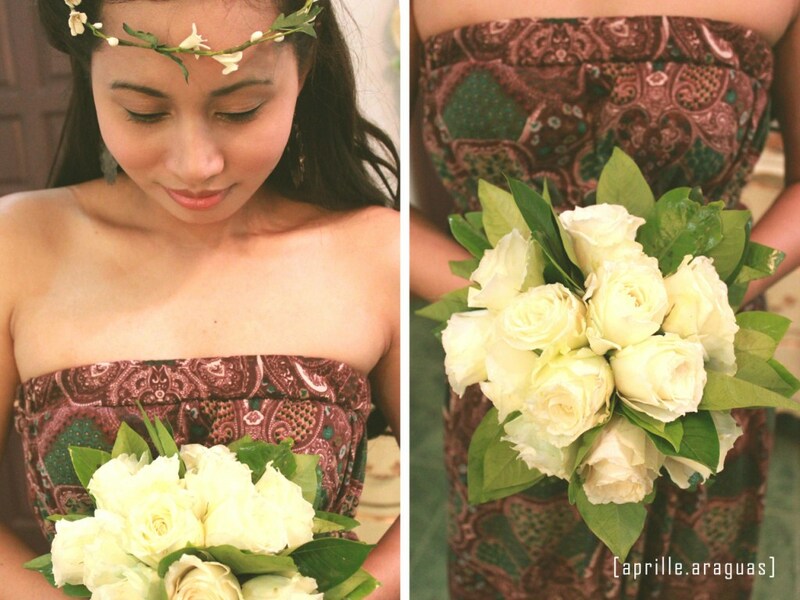 When the flowers arrived, the arrangement is just so wrong for the pictorial and I had to re-do everything, good thing I trusted my instinct to bring extra floral tape, scissor, pins and wire. I didn't have the chance to take picture of the original bouquet because the photographer has arrived and I have 15mins to finish the bouquet. 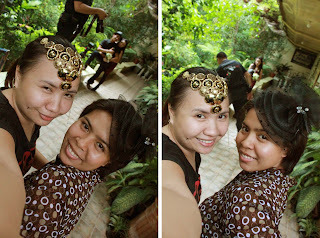 Me and Cams, while the photo shoot is on going playing and we're playing around with Vesma's accessories. I managed to take some photo as well. Here's my set. Group shot with Camille, Vesma and Jay. I really had fun shooting with you two are super nice and easy to work with, I remember when the photographer says to "Kiss" Jay will instantly kiss you, Ves-you will be always in shock saying "Teka lang ang bilis mo naman, naka kiss na agad eh.." lol I Really had a great time, If there will be a 3rd pre nup I wish to join you if schedule permits! See you on your big day! Grabe, girl scout? Haha~ May dalang flower arrangement materials? Astig! 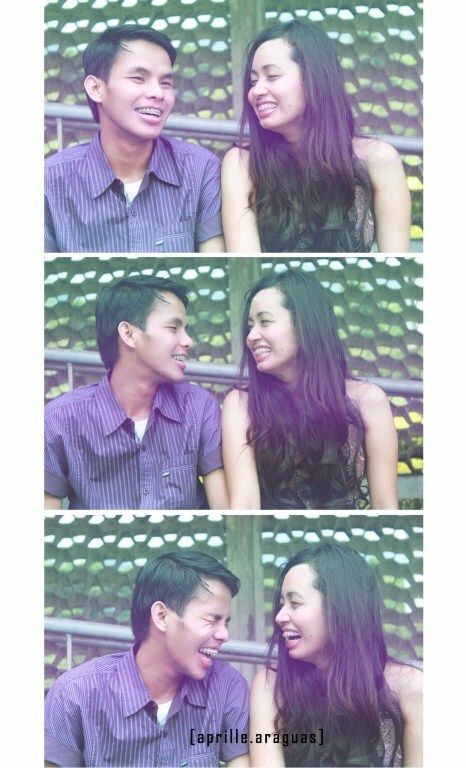 I super love the shots Aps!